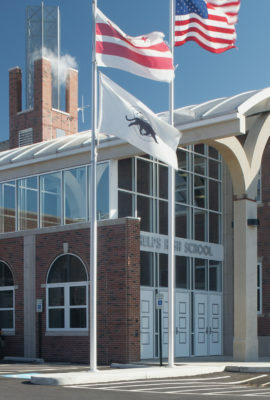 The modernization of Wilson High School brought the historic campus into a new era of sustainability. 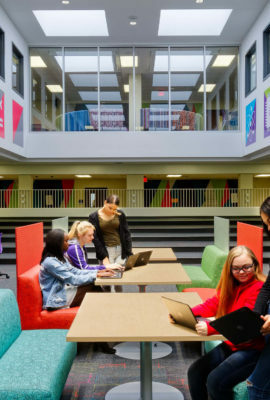 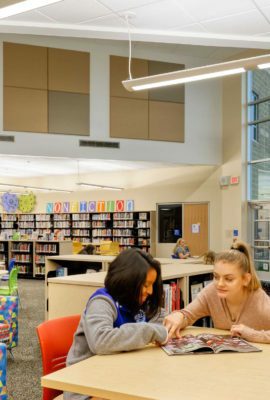 Fanning Howey provided engineering services for the renovation and adaptive reuse of the 320,000-square-foot historic high school. 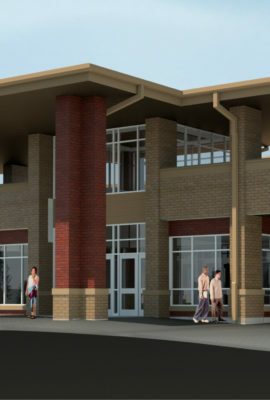 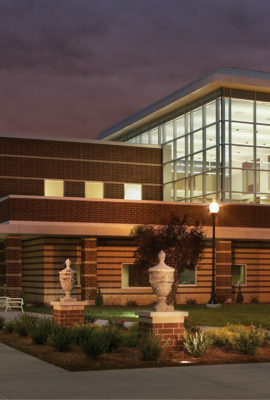 The $100 million project included a total upgrade of existing building systems. 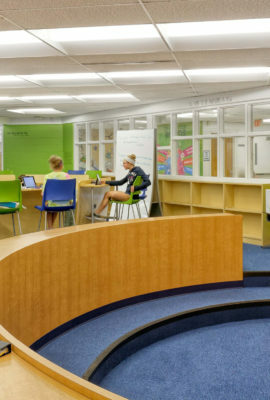 The design integrated a new chilled beam system, a first for schools in the D.C. metropolitan area. 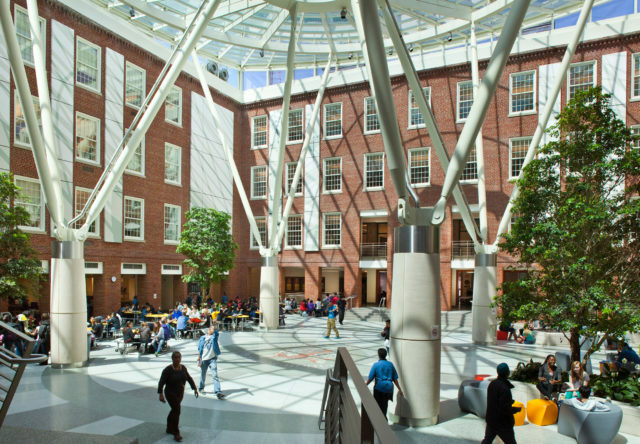 Other sustainable strategies include 100 percent solar domestic hot water and a rainwater harvesting system with a 15,000-gallon cistern. 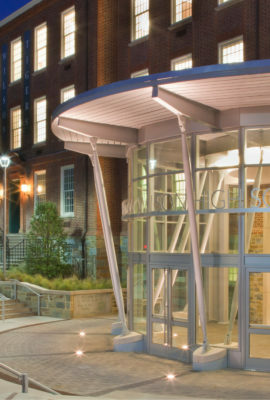 The building achieved LEED Gold certification, and includes an Ecolab to teach students about the importance of sustainability. 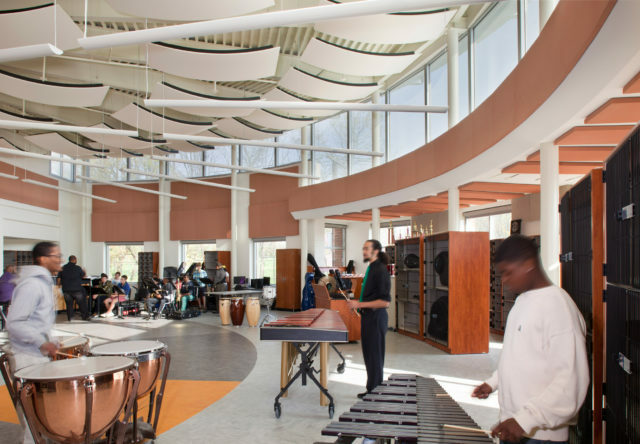 A highlight of the school is the open atrium which includes large structural elements that double as water collectors for the school's 15,000-gallon gray water cistern. 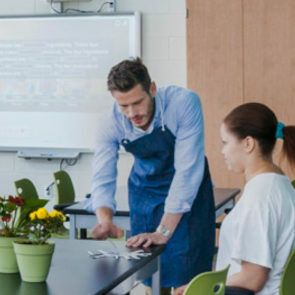 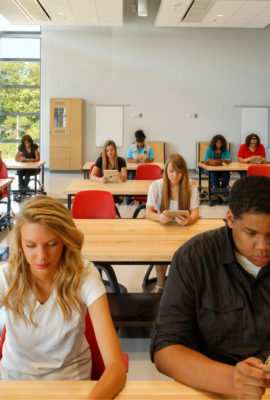 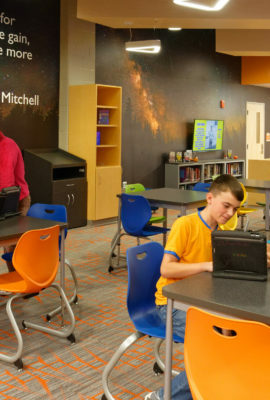 Modern learning environments are kept comfortable and energy-efficient, thanks to a chilled beam system. 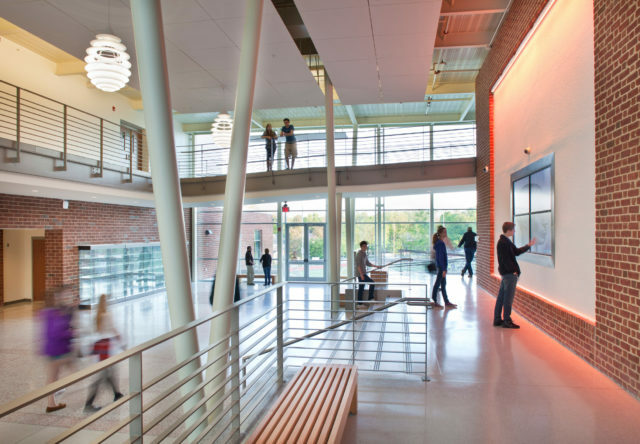 All learning environments, including the Performing Arts Center, feature extensive natural daylighting. 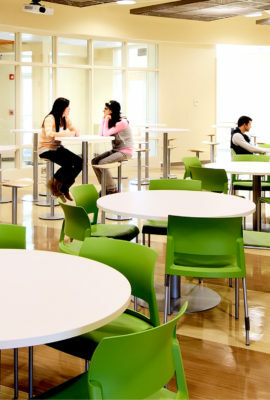 The building achieved LEED Gold certification, and an Ecolab teaches students about the importance of sustainability. 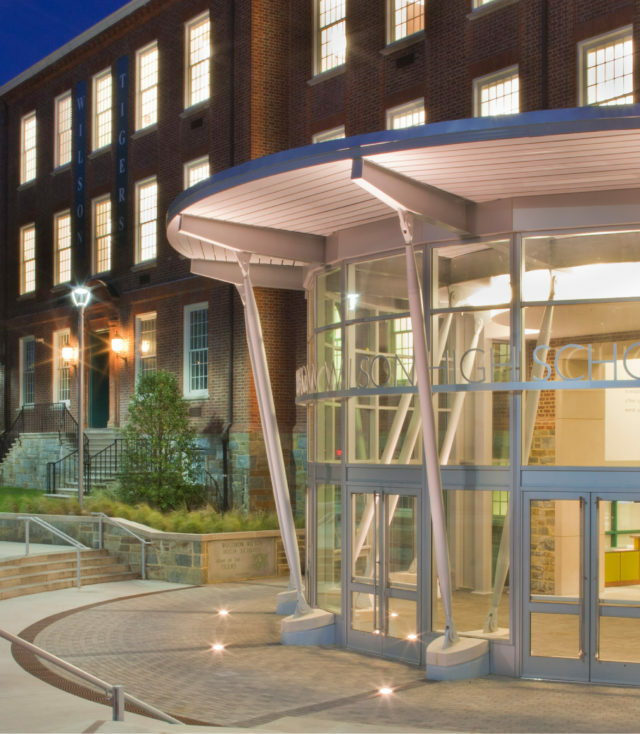 Wilson High School sets a new standard for sustainability in District of Columbia’s public school system. 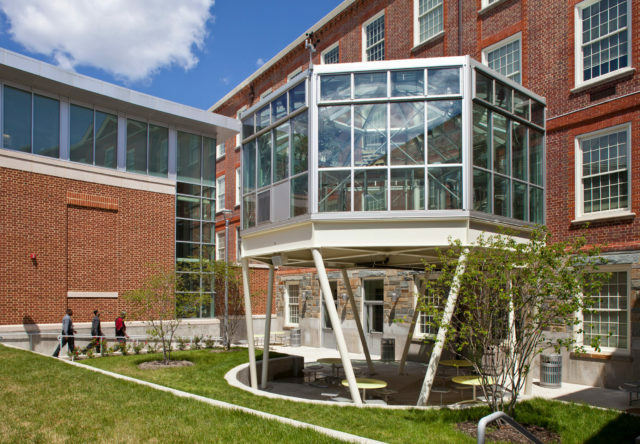 The engineering and architectural elements combine in a powerful way to reduce the building’s impact on the environment.